High cheek bones are one of the most common indicators of what is known as classical beauty. High cheek bones make a face look slim and elegant, and are desired by one and many. But aging and skin degeneration over the years can also lead to the dissolution of the elastic substances underneath the skin which give the face a smooth, supple appearance and the look of youth. You may be grappling with the question of how to get high cheekbones. 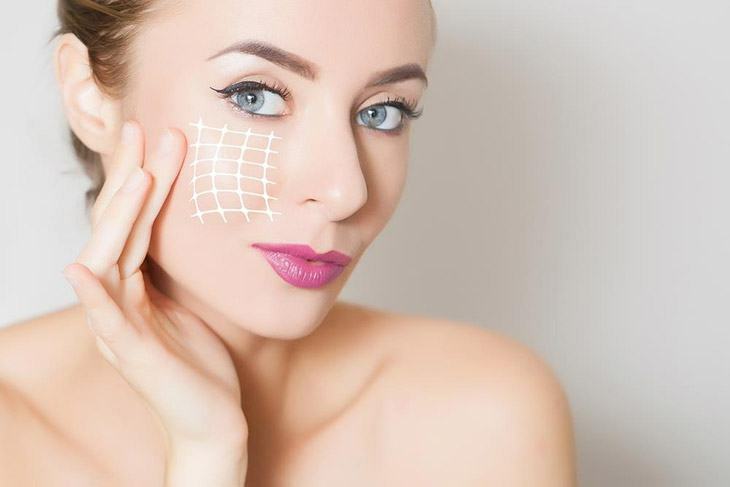 Fortunately, the advice and expertise of an experienced cosmetologist can help you with your query and the advances in cosmetic surgery can make your dream of how to get high cheekbones a reality. Cosmetic surgeons and oculoplastic surgeons rely on many methods for how to get high cheek bones. Some of these ways are non-surgical and minimally invasive. Other methods involve major surgery which require sawing the cheek bone and physically lifting it within the cheek to create high cheek bones. Dermal fillers and autologous fat injections – Injections of dermal fillers such as collagen, hyaluronic acid which are available as FDA approved formulations into the cheek area can add bulk and volume to the skin of the cheeks, giving the appearance of high cheek bones. Injections of the patient’s own fat from other parts of the body can also be used for this purpose. The difference made by injectable implants in how to get high cheek bones is extremely noticeable in pictures of cheek implants before and after. Cheek implants – Cheek implant before and after pictures show the dramatic improvement cheek implants make in how to get high cheek bones. Cheek implants are inserted into the cheeks and precisely positioned by the cosmetic surgeon to create an elevation and raising the cheek bone. Cheek implants can be made of many biocompatible materials such as polyethylene and GoreTex. Different types of implant material result in varied effects on cheek implant before and after pictures. Zygomatic Osteotomy – A zygomatic osteotomy is a facial reconstructive procedure which is used in the case of significant trauma to the midface. In a zygomatic osteotomy, the cheek bone is separated from the orbit using an incision. The incised bone is moved forward and a filler material such as calcium hydroxyapatite is placed in the gap between the two bones. This leads to the raising of the cheek bones. How to get high cheekbones is a question that can be readily answered by an experienced oculoplastic surgeon or cosmetologist. Dr. Debraj Shome is one of the most renowned oculoplastic surgeons not only in India, but the world over. He has been pivotal in the creation and operation of The Esthetic Clinics, a chain of specialty skin care treatment and facial surgery centres all over Mumbai. You can rest assured that Dr. Shome will give you the best possible outcomes for your cheek enhancement procedure. Getting the high cheek bones you desire! If you want to get high cheek bones that you have always desired, then there are many ways you can do so. To get the get high cheek bones you want, you don’t have to be Kareena Kapoor anymore. Now to get high cheek bones, all you have to do is do a few facial exercises. Scourge the internet to find exercises to get high cheek bones. You will be rewarded well. However, if you are considering plastic surgery to get high cheek bones, then that’s possible too. Today, visiting a plastic surgeon to get high cheek bones is commonplace. So if you want to get high cheek bones, visit a plastic surgeon like Dr. Debraj Shome, at the earliest. Now to get high cheek bones, you don’t have to do much! Dr. Debraj Shome is amongst the most experienced facial plastic surgeons in the world, with many thousand face surgeries & procedures performed in his career. Dr. Shome is co founder of The Esthetic Clinics ®, a chain of cosmetic centers located in Mumbai, India.